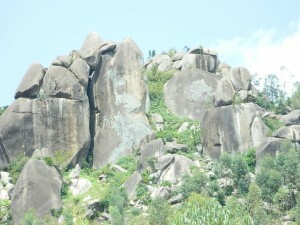 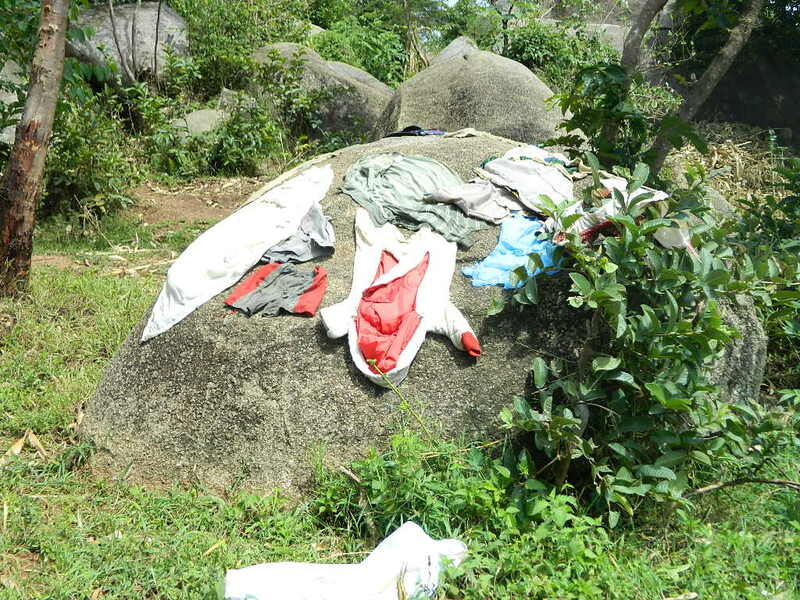 The proposed Emukhuya Community lives on the slopes of Emukhuya hill that has a large quantity of rocks distributed over a 4-acre area land. 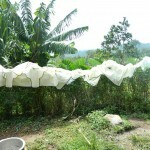 The area is densely populated leading to the scarcity of land to farm and produce food. However, in almost every home there’s banana plantation, which is the main cash, crop harvested and taken on the local Luanda Market for income. 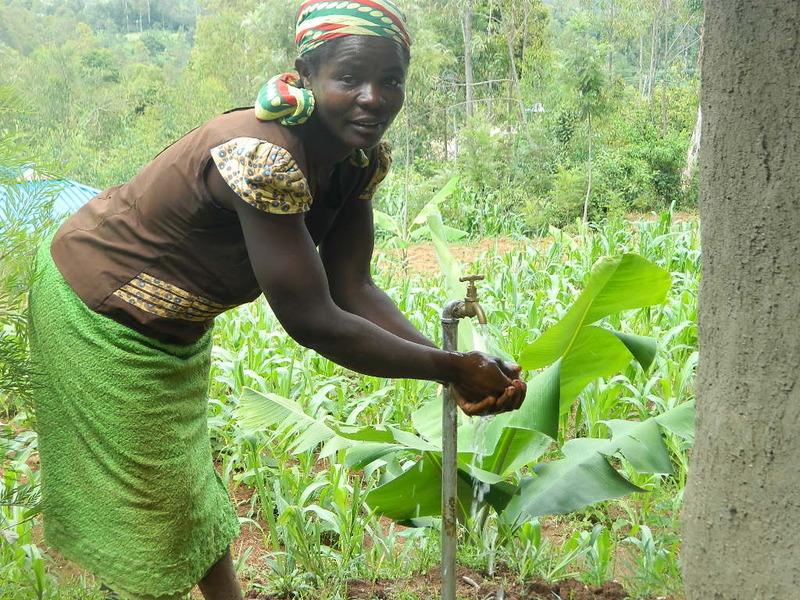 Women in Emukhuya community are the most hardworking people who ensure to the best of their ability that their families are well taken care of (fed, clothed and children’s education needs are met). 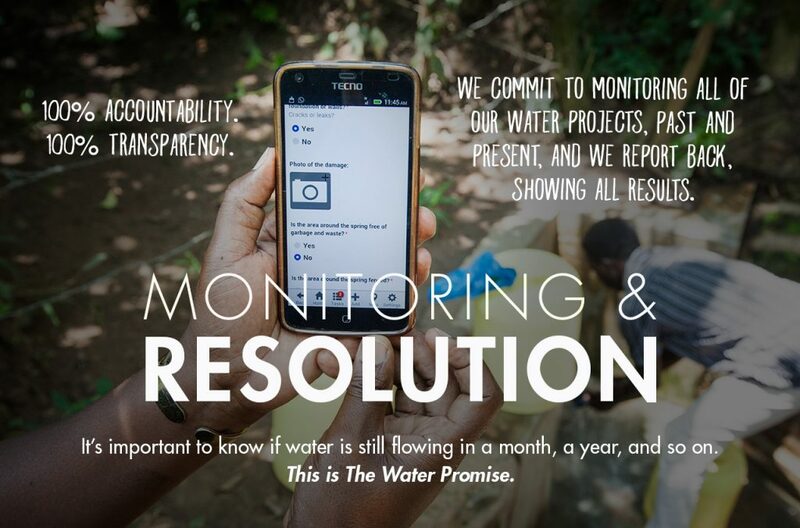 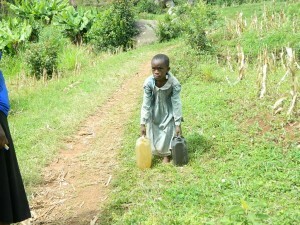 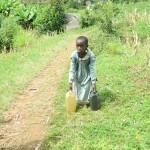 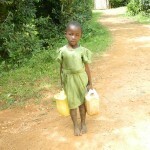 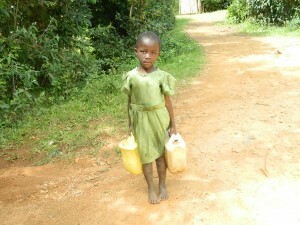 Among many challenges affecting the Emukhuya community, access to quality water for drinking is the major challenge. 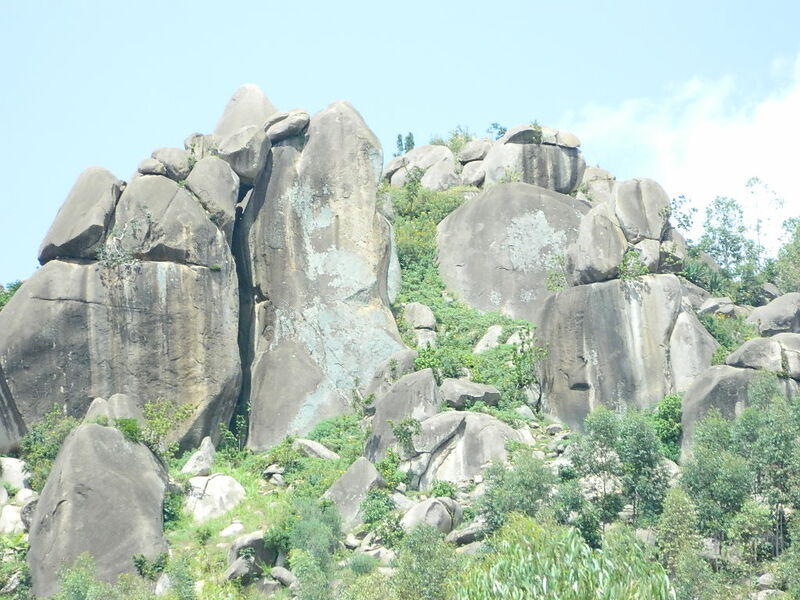 Women and young girls have to travel down the hill 1 ½ KM searching for water from Hobunaka Spring, back from the spring one has to climb and rest for a while to regain strength so as to keep climbing the hill back home. 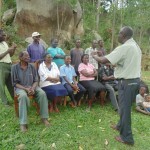 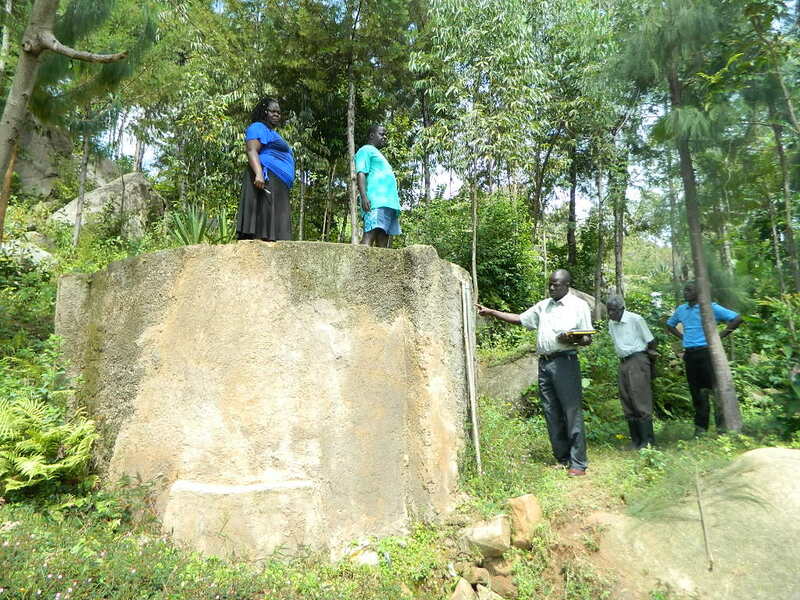 Robert Atino in 1971 while still a primary school pupil, currently a high school teacher, discovered a “crying stone” on slopes of Emukhuya hills. Atino tried to scoop water under the crying rock and some water was collected. 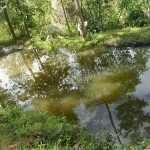 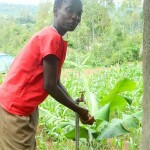 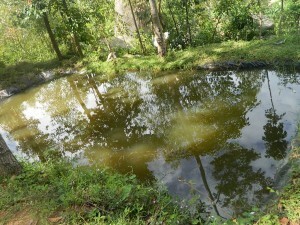 Eventually this spring became a source of life in Emukhuya Community. The women and young ladies, who used to walk 1 1/2 Km to Hobunaka spring, changed their direction now instead of climbing the hill while carrying water now day’s travel down the hill while taking water in their homes. 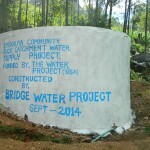 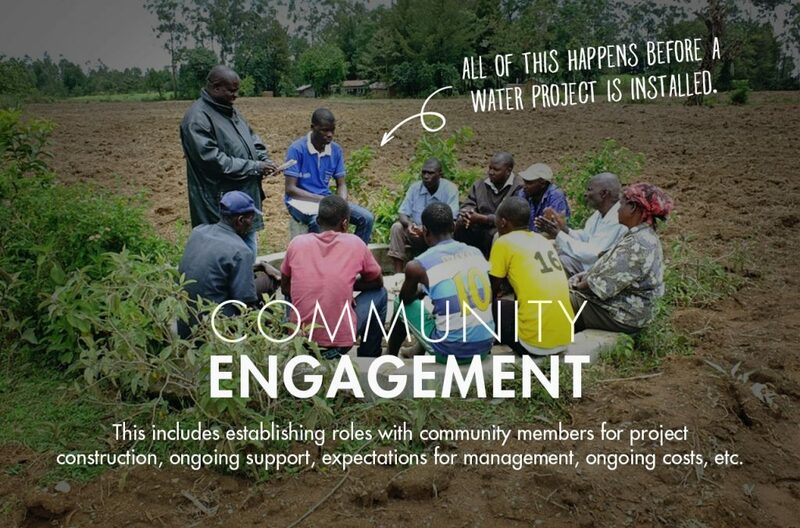 Atino discovered Bridge Water Project development activities and mobilized his community members and told them about BWP as development partners in water sector. 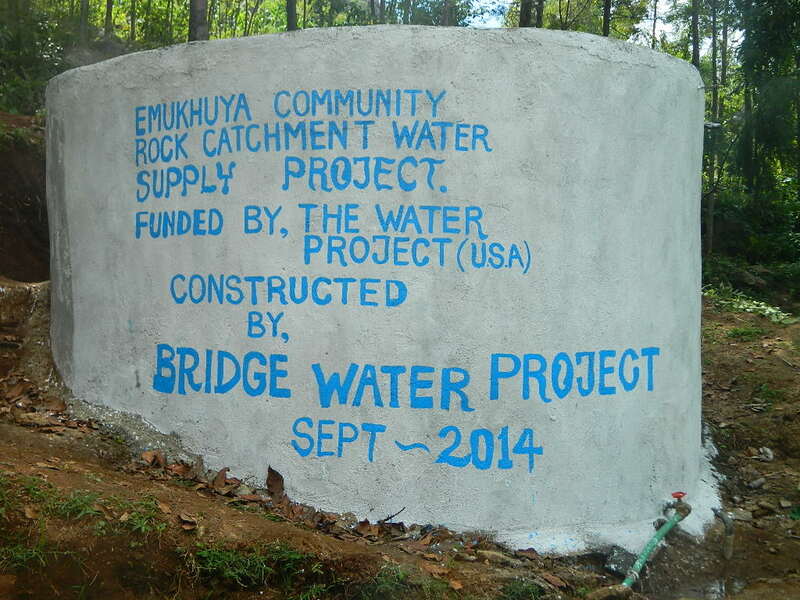 In May 2014 BWP visited the Emukhuya Community Rock water source and found it to be very interesting and miraculous spring. 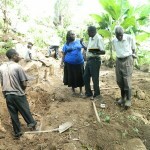 BWP interview with HANNINGTON ATINO 93 years old member of Emukhuya community narrates “This spring reminded us of Biblical story of Moses and the rock in the wilderness, we were suffering but my Son Robert stroked this rock and out of it we got clean water since 1971 to date” Says Hannington. 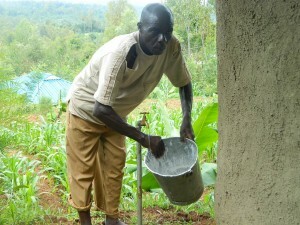 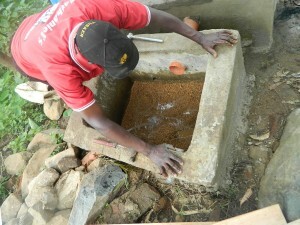 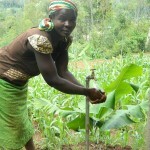 Currently the community relies on water from the rock spring for their domestic needs and share with their livestock. 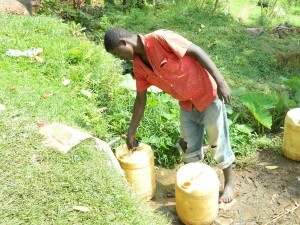 The water is clean and records a turbidity value of 5 (WHO) acceptable levels of quality parameters for drinking water. 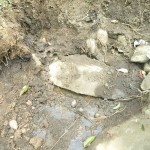 BWP took 2 liters and ¼ liter samples to government lab. 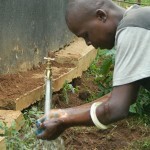 Test and results shows water is good for consumption and for animal use. 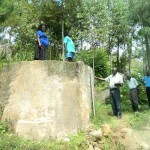 However the water is unprotected and during rain seasons is contaminated by the running water from the top of the hill, which makes it unsafe. The proposed water project area has 45 houses hold with an average of 8-10 people per house approximately 450-500 people. 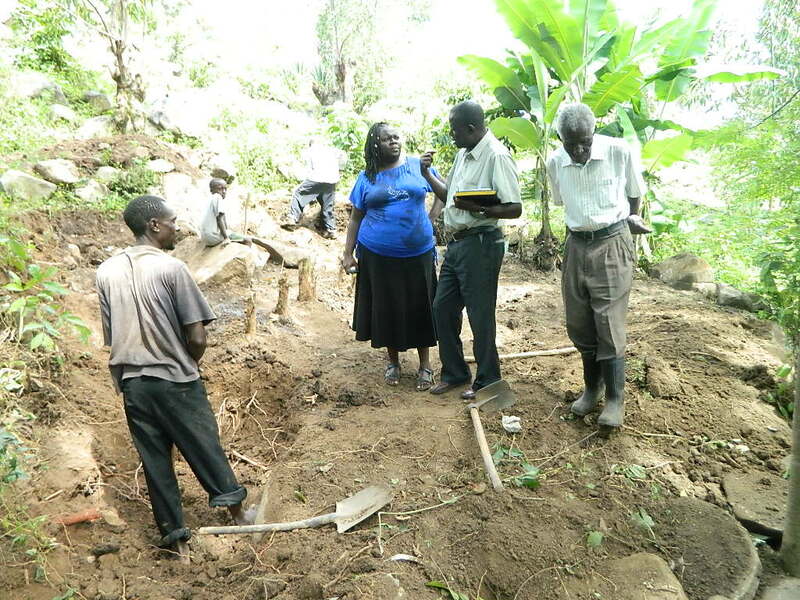 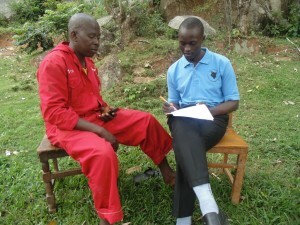 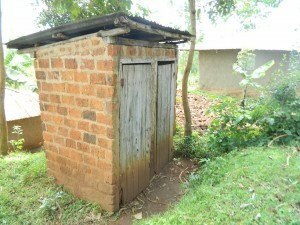 During the Baseline survey, BWP found that most homes have pit latrines, bathrooms, cloth lines. 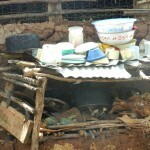 Most homes do not have Dish rack, No composite pit water storage facilities are not washed properly both external and internal. 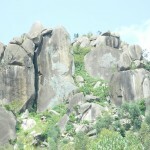 BWP observed that older members do not shower on regular basis since they cannot afford climbing the hill searching for water since it is steppe. Most respondents (72.00%) were males while 28.00% were females. 48.00% of the respondents had a house hold size of 6—10 people, 32.00% indicated 5 people and below people, 16.00% indicated 11 – 15 people while 4, 00% indicated 16 – 20 people. 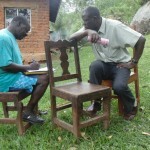 Most households (24.00%) used 5 Jeri cans and below and between 6 – 10 Jeri cans per day respectively, 20.00% used above 20 Jeri cans and between 16 – 20 Jeri cans respectively while the remaining 12.00% used between 11 – 15 Jeri cans. 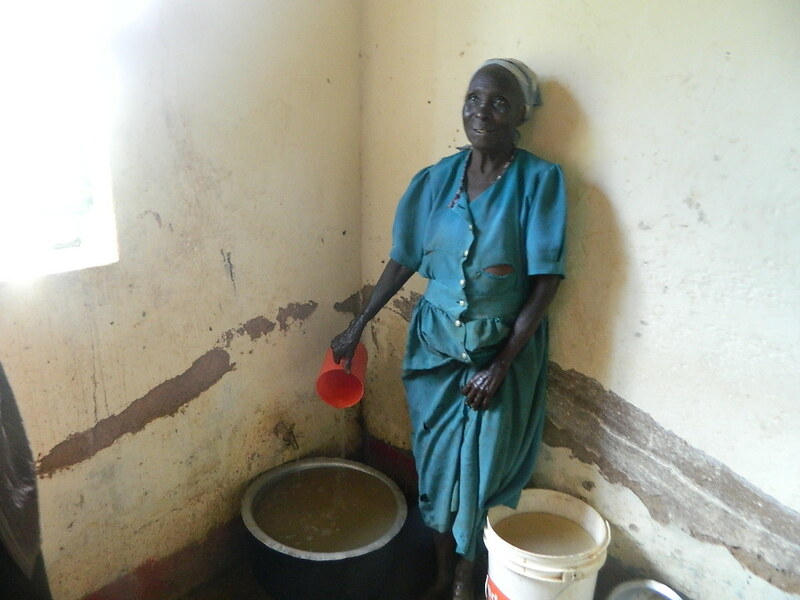 47.83% of the households were female headed, 43.48% were from the host community, and 4.35% were returnees and others respectively. 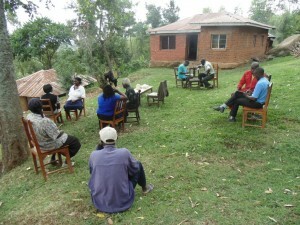 Most respondents (93.8%) were willing to stay in the current community, while 6.2% indicated otherwise. 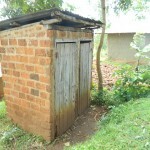 Most respondents (96.00%) indicated usage of bathrooms and latrines. 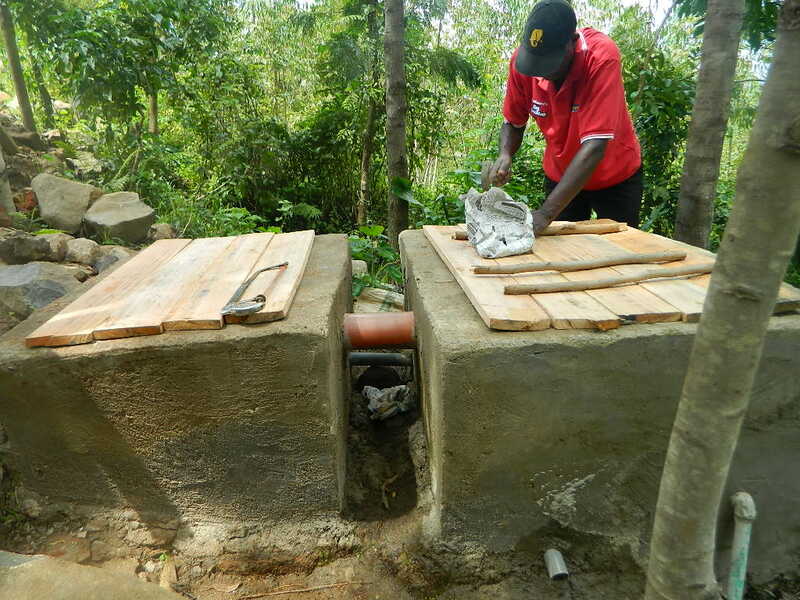 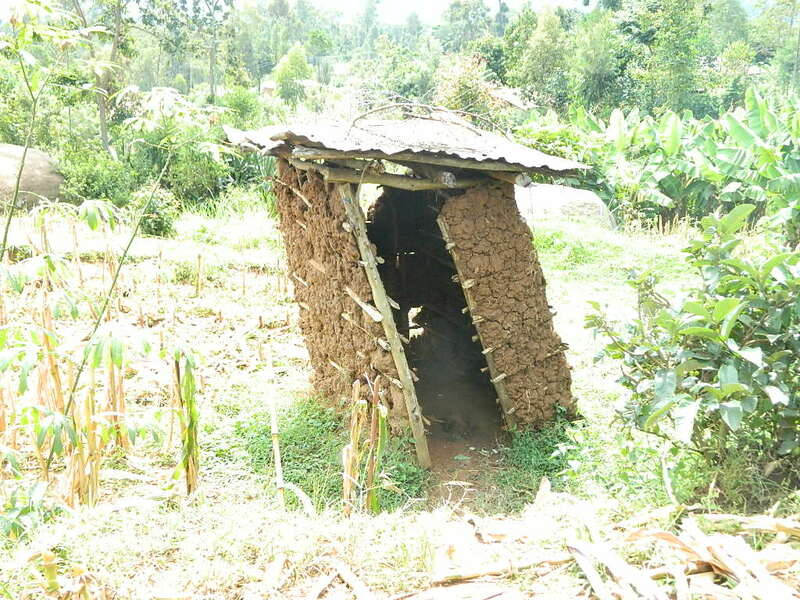 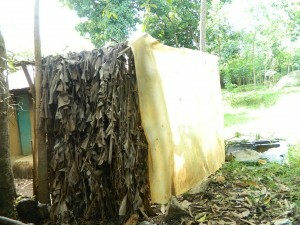 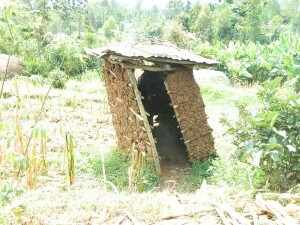 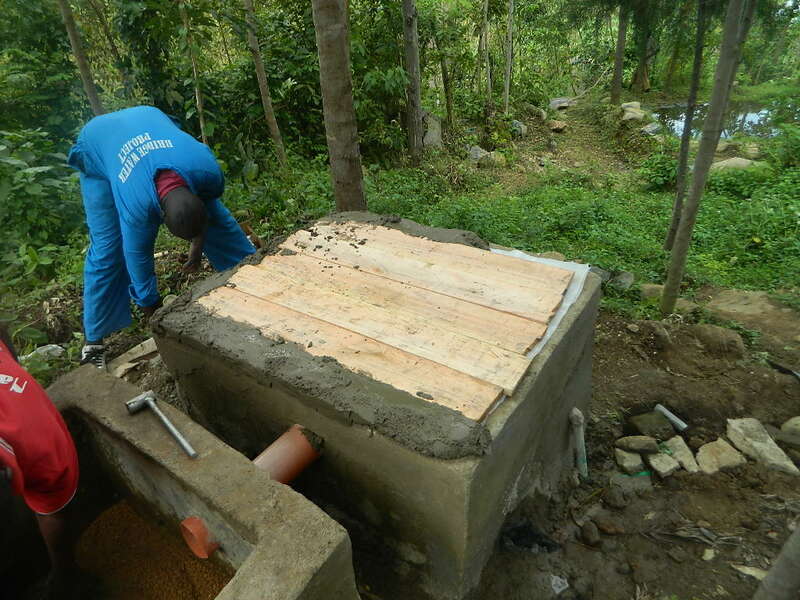 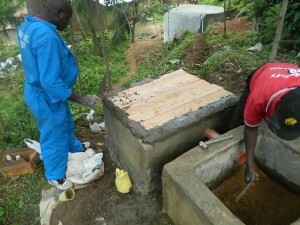 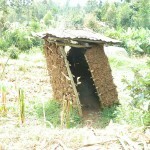 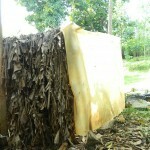 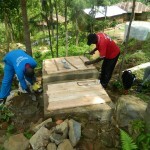 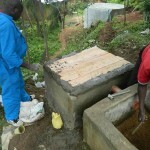 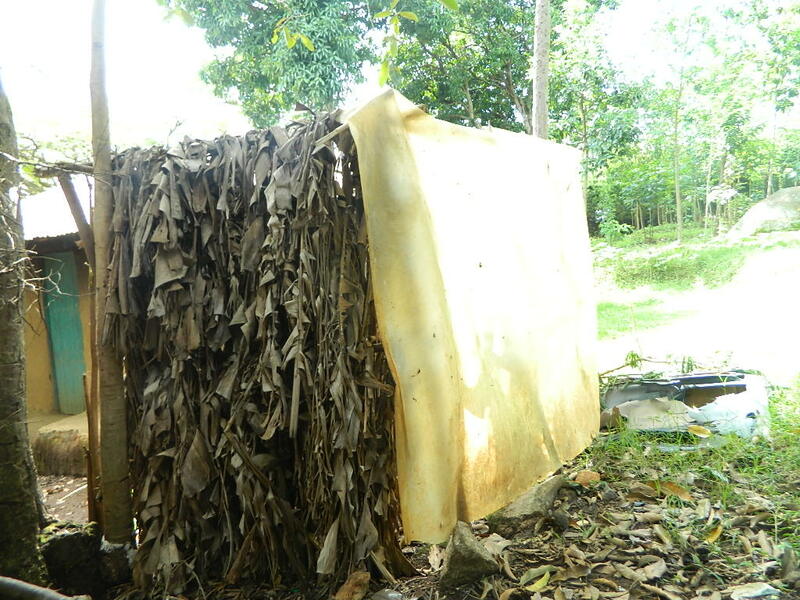 75.00% of the households had latrines with covers while 25.00% did not have. 37.31% of the respondents washed their hands after defecating, 32.84% before eating while 29.85% before preparing food. 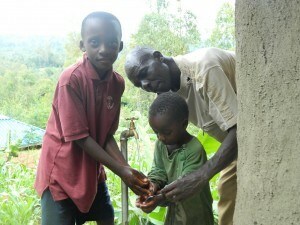 What respondents use to wash hands? 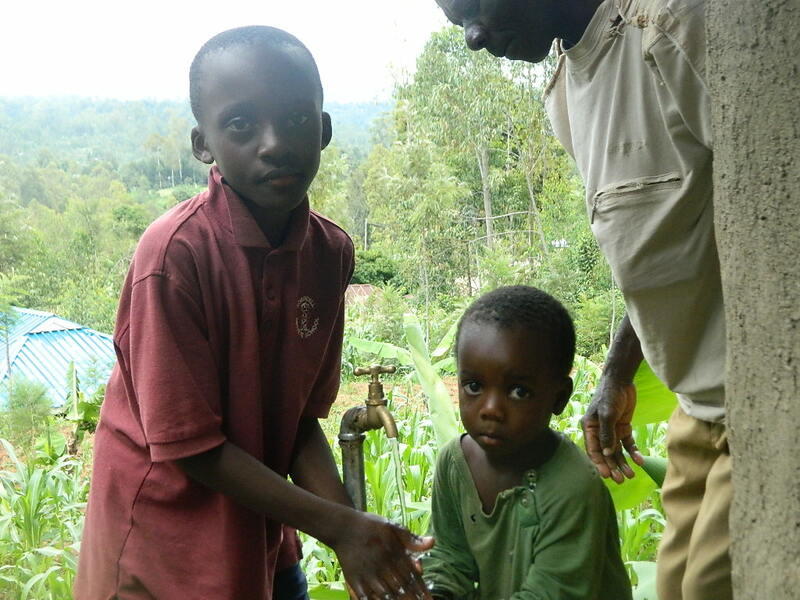 Most respondents (92.00%) washed their hands with soap while 8.00% did not respond to this question. 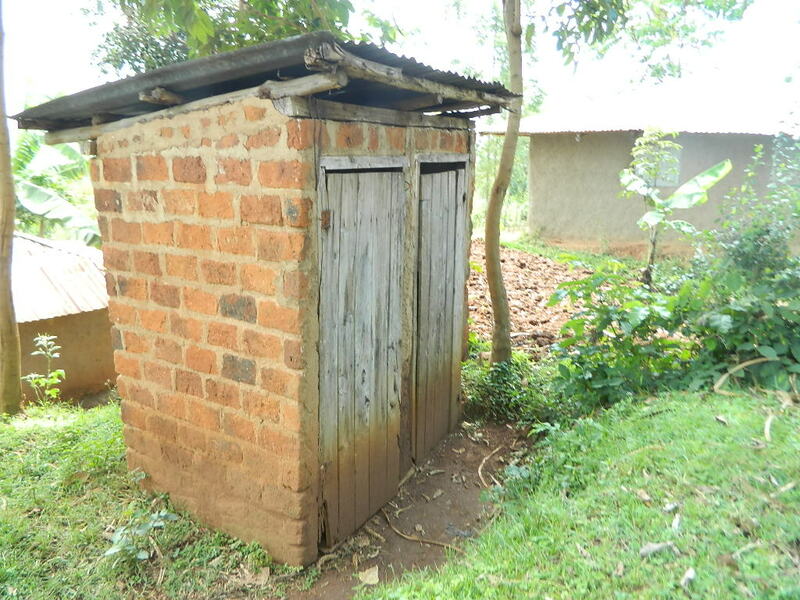 Most of the communal latrines (72.00%) were in schools, 20.00% were in the community while 8, 00% were elsewhere including churches. 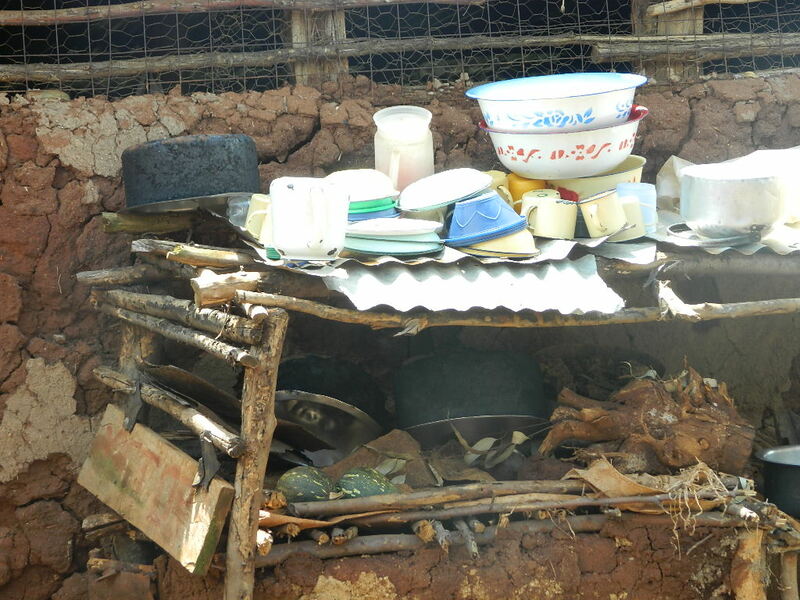 Most households had effective solid waste management in place while only 5.56% indicated otherwise. The general cleanliness of the environment (73.68%) was in good condition while 26.32% in fair condition. 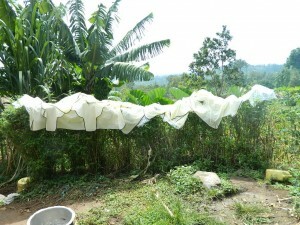 Most households (96.00%) had mosquito nets while 4.00% did not respond. Most respondents 84.21% indicated they sourced water from surface water, 10.53% indicated other sources while 5.26% indicated hand pumps. 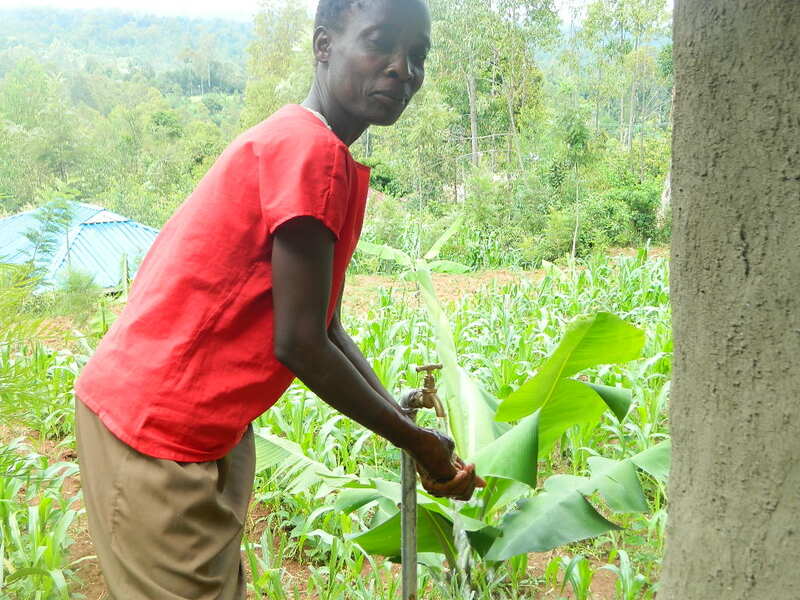 Most respondents (48.00%) collect water in the morning, 44.00% collects water every time while 8.00% collect water in the morning and evening. 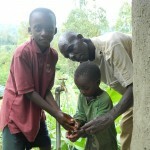 Most households (80.00%) indicated use of purification and filters while 20.00% did not respond to this question. 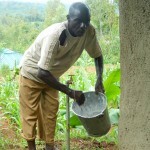 Most households (80.00%) indicated having households with water containers/clean water containers, while 20.00% did not respond to this question. 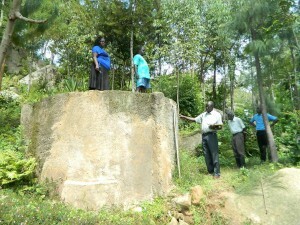 There’s need to improve the rock catchment by protecting the source, direct the water to the 5000 masonry reserve Tank on the hill to allow it to flow by gravity directly to the community to allow easier access to quality water for both young and old members of Emukhuya community “WHEN WATER BURDEN IS LIFTED, WOMEN RISE UP”. 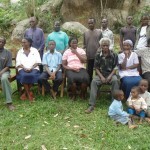 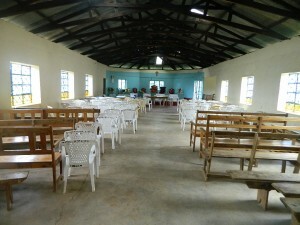 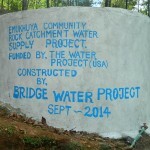 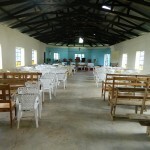 The project targets members of Emukhuya community and Emukhuya Church of God. 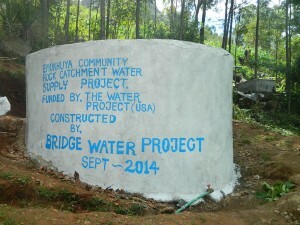 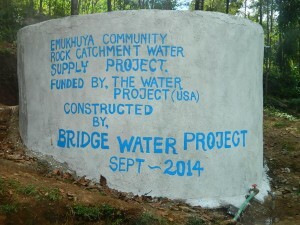 The Emukhuya community is organized with already established registered, as Society water committee, but will be given more training by BWP WASH officers prior to implementation of the project. 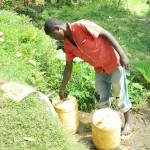 BUDGET JUSTIFICATION FOR EMUKHUWA COMMUNITY WATER PROJECT. 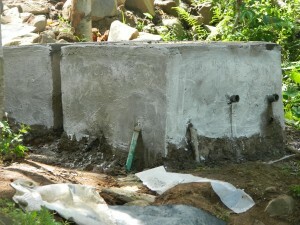 The Emukhuya community water project rehabilitation work will majorly involve protecting the main spring (source) by constructing two filtration chambers where water will be filtered before entering 5000 liters masonry tank (that already existed) The masonry tank has some cracks on the base area and on the wall. 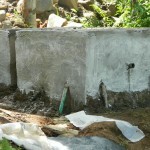 The BWP masonry team will do some repairs on the base and wall area both external and interior and thereafter apply plastering with a water proofing cement to avoid leakage. 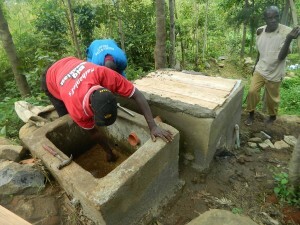 BWP has a plan of connecting a main water supply PPR pipes from the 5000 reserve tank to 1000 meters (1km) downwards the hill and fix 5 taps in various areas of the community so they can start enjoying the improved water supply and not have to travel the 1 .5 kilometers up the rock to collect water. After handing over of the Emukhuya water project to the water committee, interested members will be able to apply for the supply through the management committee with a fee that the community members will decide. 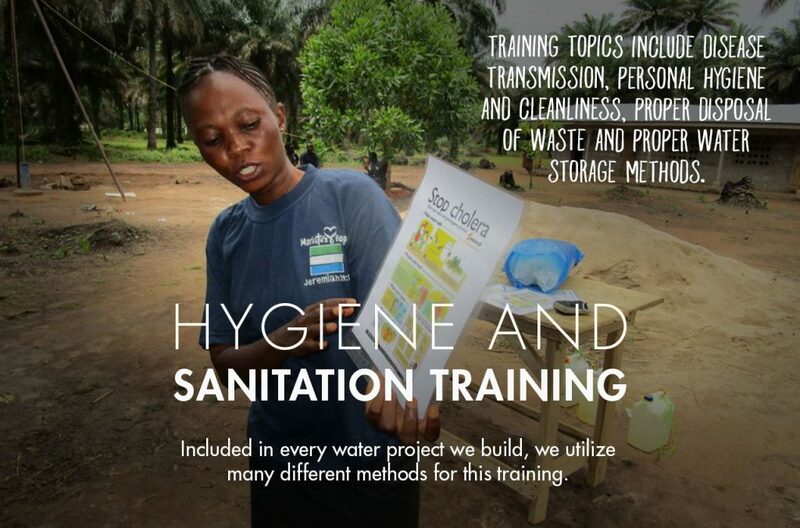 Despite the fact that the Emukhuya community members will have the opportunity to access clean water from the rock catchments which is being improved by the BWP, there was a great need of training the community members on issues of proper hygiene and sanitation. 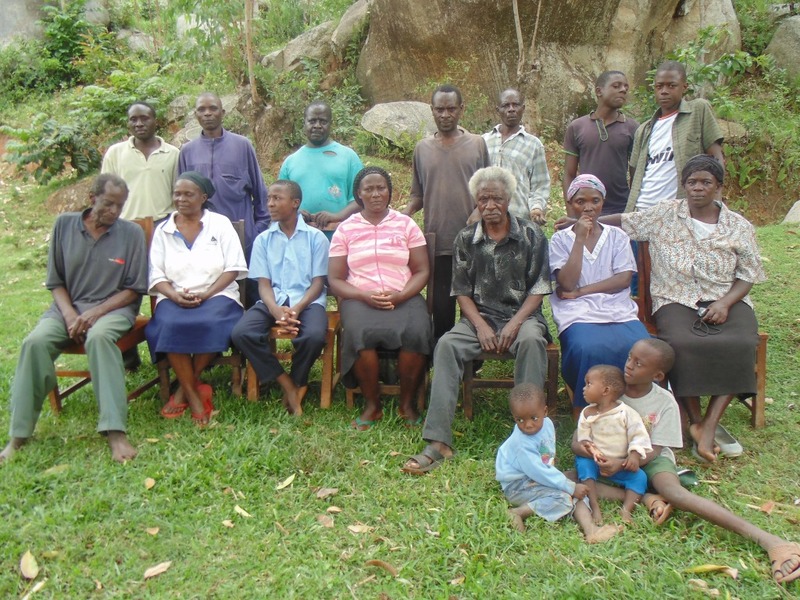 Most members of this community are of the old age hence more young people have moved to the urban centers in search of job opportunities. 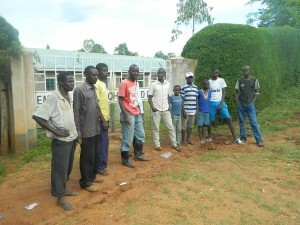 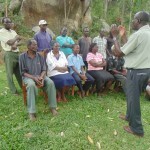 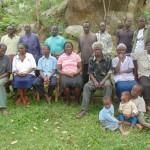 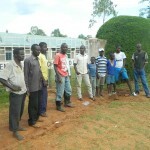 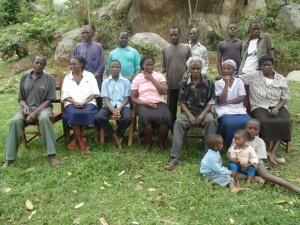 A group of six women and five men were present for the training. 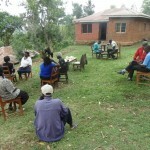 The number of the attendance was small because the rest of other community members had gone for burial ceremony in the neighborhood. 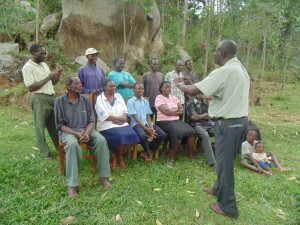 Identifying the problems in the community. 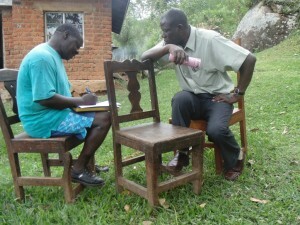 Identifying the source of the problems. 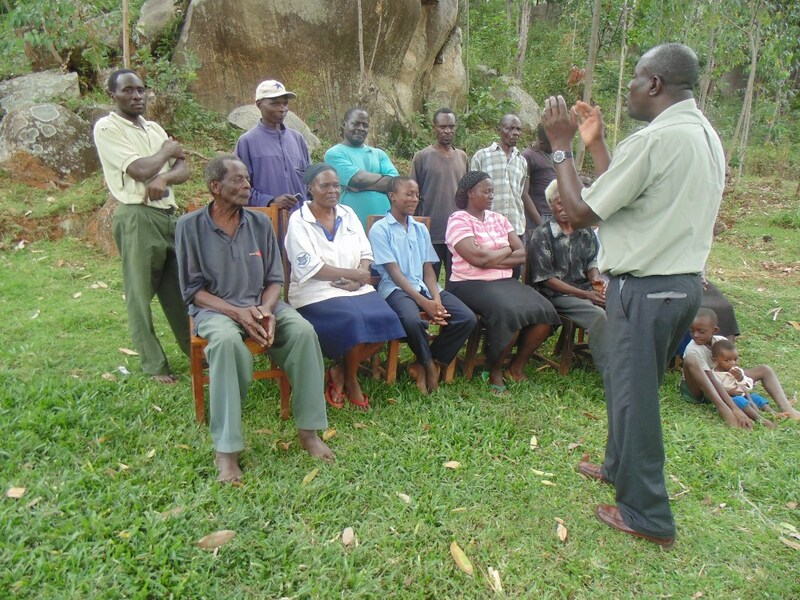 Identifying the solutions towards the problems (water treatment methods, hand washing, use of latrines and proper preparation and handling of food). As expressed by the community members, the diseases occurred throughout the seasons. 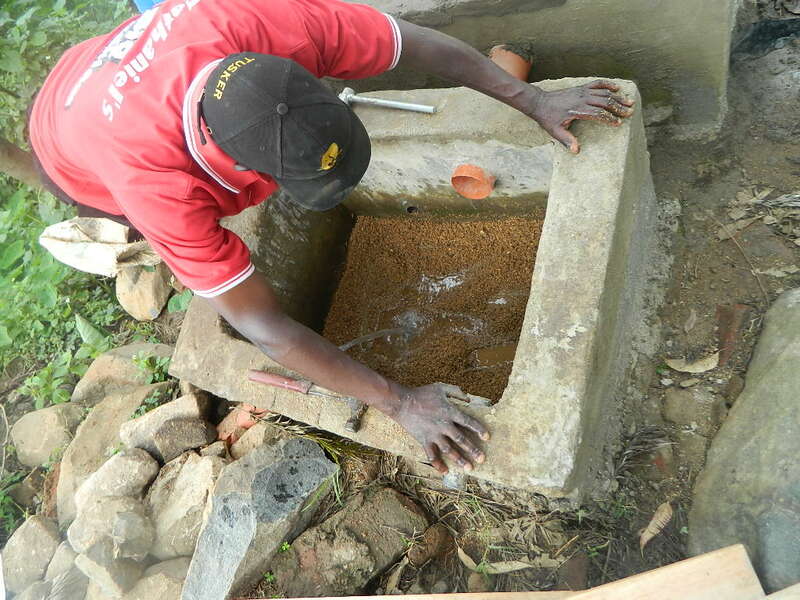 Contrary to what the community members believed could be cause of the diseases; they were able to learn that the diseases are a result of poor practices of hygiene and sanitation. For more identification of the source of the waterborne diseases in the community, the members were able carry out more activities which helped them to investigate between good and bad practices. 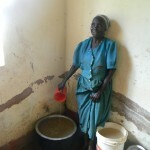 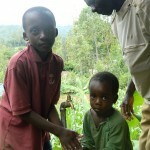 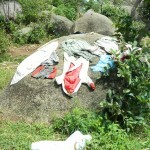 Hand washing has been a major issue in this community. The practice has been overlooked by the community members and therefore this called for a demonstration on proper hand washing. A serious discussion was also done on when hands must be washed and the risks of lack of hand washing. WEEK2 NARRATIVE: 29th -3rd September2014. The implementation part of the project begun by digging of terraces that would be used to lay the pipes which will collect water to the tank. The work was done by the service team of the BWP with the help of the community members who helped in collecting sand and concrete. 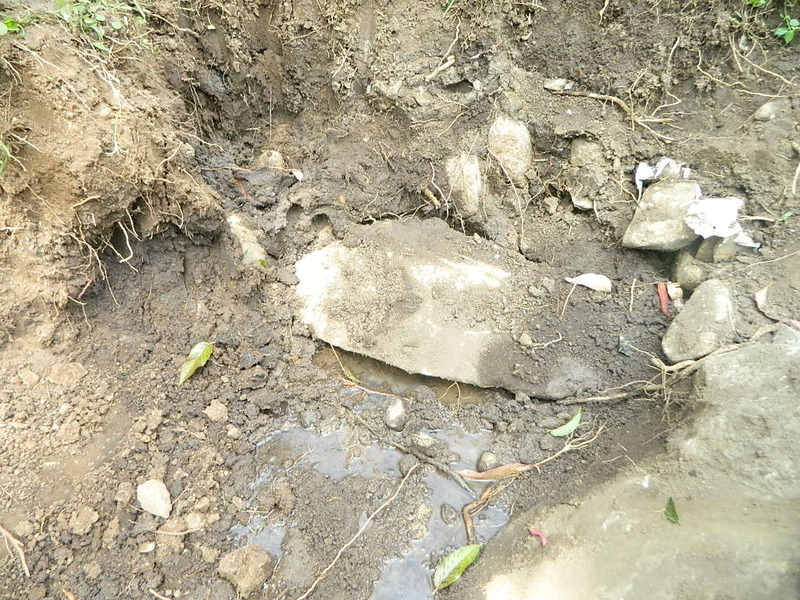 The digging of the terraces took a period of three days since the ground was full of stones which required to be removed. 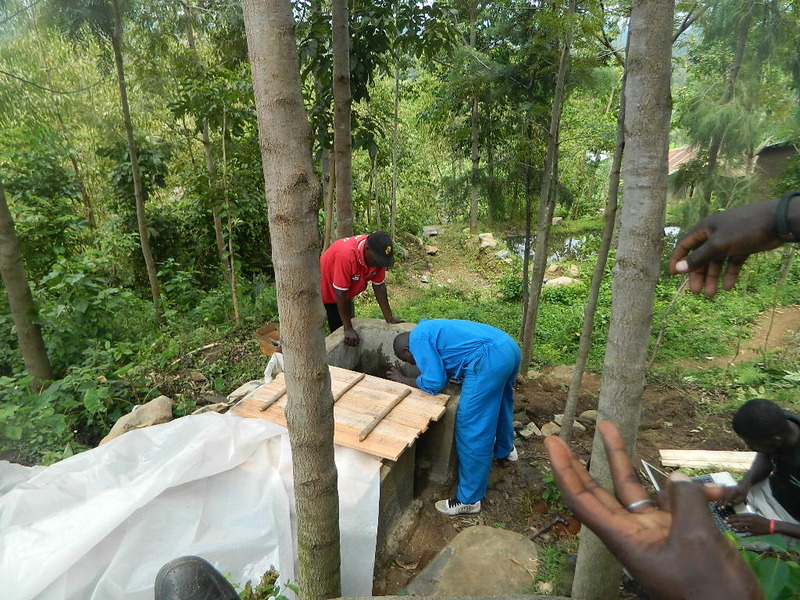 As the work went on, a lot of water came from the rock catchments forcing the men to fetch and pour it so as to allow them manage the cement work. 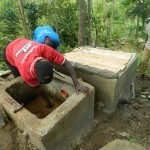 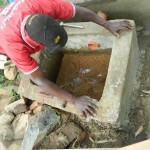 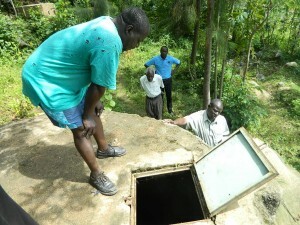 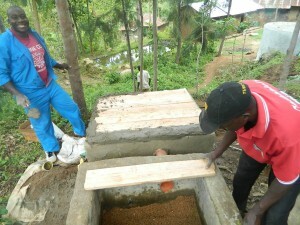 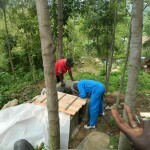 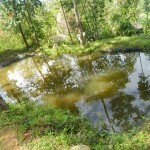 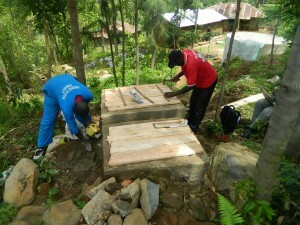 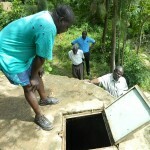 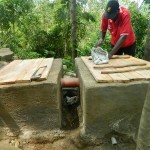 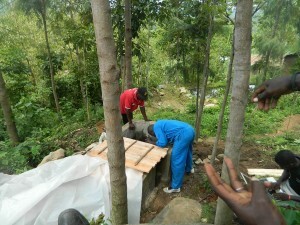 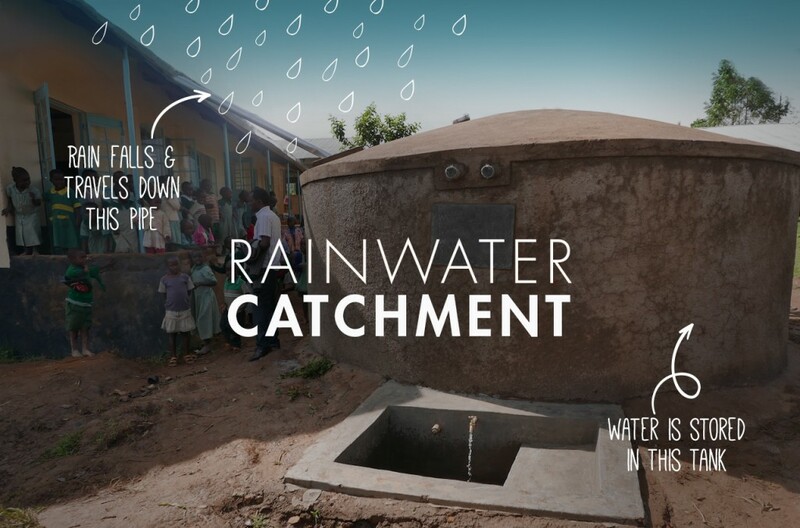 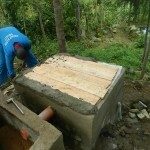 The tank that was used to store water from the rock catchments was also renovated both inside and outside. 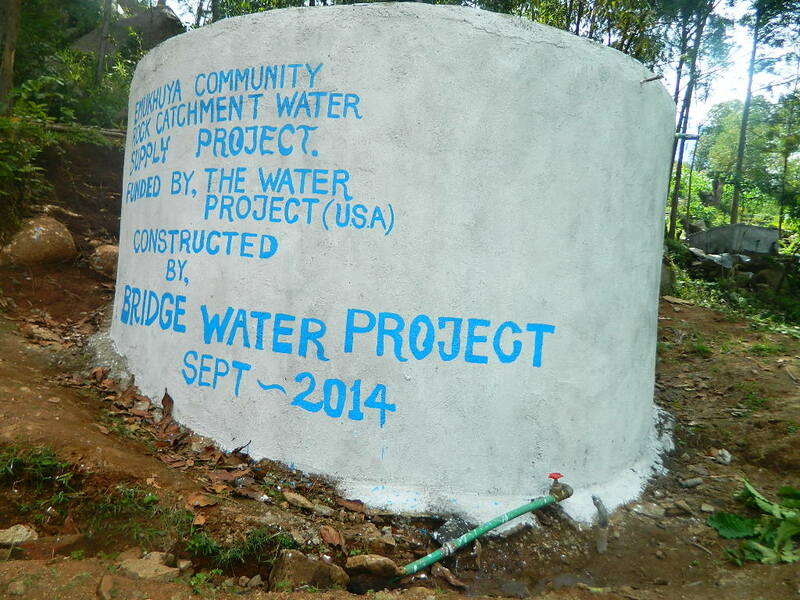 To complete the construction phase of this project, the pipes are yet to be laid down the slope leading to the collection tank and also piping of the water to the church ground where other users will connect their pipes from there to their homes. 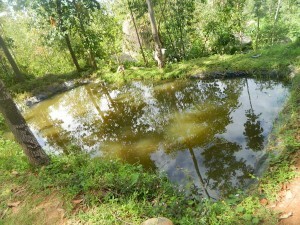 WEEK 3 NARRATIVE : 27TH -31ST October 2014. The piping has been finally done. 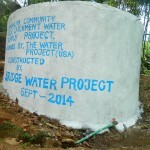 The water has collected in the water tank which will be used to supply water to other destinations like the church and homes. 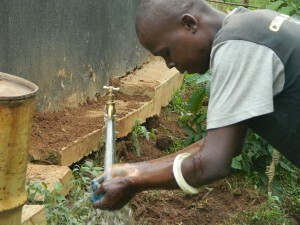 To conclude the project, the water taps were opened to allow the water flow. At the time of the project completion, the community members had gone for prayer ceremony for their children who are preparing to sit for the national exam which is set to begin next week but a few were present for the handing over. 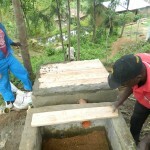 The impact of the project is of high impact since a part from improving the hygiene and sanitation conditions, most of the community members have started fish farming projects which will also empower them economically.